Here is Dr. Marsha's Gofundme page. In November of 2014, Dr. Marsha Woolf suffered a stroke. While she is making progress in her recovery, her practice, nevertheless, has been affected. At this moment she is over $30,000 in arrears in rent and utility charges; she is facing eviction from her residence and the dissolution of her beloved charitable organization, the Tibetan Refugee Health Care Project. Because of the urgency of her situation, a group of her friends and patients are reaching out to you to join us in helping to provide for her immediate and ongoing financial needs during this difficult time. We are hoping to raise a total of $75,000 to keep up with her expenses while she recuperates from the stroke. Dr. Marsha Woolf‘s life has been dedicated to the service of others, both as a pioneering holistic medical practitioner and as a devoted humanitarian working for the benefit of Tibetan Refugees. Dr. Woolf has helped thousands of patients throughout the United States and abroad in her 35 years of practice. Those of us who have been in her care have experienced remarkable healings. We hope you will join us in showing gratitude to this notable woman who has done so much for others. Dr. Woolf’s medical knowledge and practice incorporates the wisdom teachings of both Eastern and Western traditions. She was trained and mentored by several of the most brilliant minds in alternative medicine. And, she has applied the acumen of these traditions for her patients in the United States and India. Her teachers and colleagues, all who have been at the forefront of alternative medicine, are: Dr. Michio Kushi, Ph.D. (macrobiotics); Dr. James So, OMD (founded the first licensed acupuncture school in the USA); Dr. Ted Kaptchuk, OMD (one of the earliest scholars of Chinese medicine in America, presently teaching at Harvard Medical School); Dr. Paul Nogier, M.D. (Auriculomedicine); the Venerable and renowned Dr. Yeshi Dhonden (one of the world’s foremost authorities in Tibetan medicine). Dr. Woolf was mentored in Tibetan medicine by Dr. Yeshi Dhonden, who for twenty years was the personal physician to His Holiness the XIV Dalai Lama. Together, Dr. Dhonden and Dr. Woolf have treated all types of cancer and other serious illnesses. Their research project, which was backed by the FDA to demonstrate the efficacy of Tibetan medicine in the treatment of Stage IV metastatic cancer, was featured on “Dateline NBC”. Many of Dr. Woolf’s patients with aggressive and difficult cancers of all kinds are alive and flourishing today because of her care. We know her to be a natural healer who has enhanced our health and well-being, and given us hope where there had been little or none. While she has passionately and compassionately served us at home, she also has reached out to do charitable service for the Tibetan Community in India. 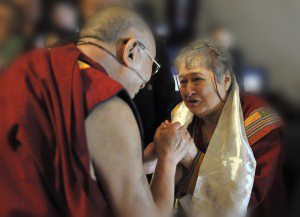 A major part of Dr. Marsha’s life’s work, to aid Tibetan refugees in exile, was assigned to her by His Holiness the Dalai Lama. Subsequently, she set up medical clinics in resettlement camps in remote areas of India, and developed projects to provide safe and clean drinking water in the camps. She has never taken a personal penny for her charitable work and has relied on her hard work and the generous contributions of others to make a difference. 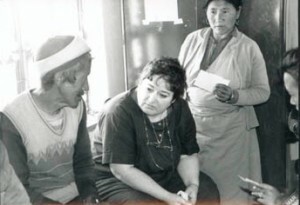 If you want to know more about her benevolent work and her work with cancer patients, please refer to her website: www.tibetanrefugeehealth.org. We pray that this appeal brings blessings to her life, as her work has blessed the lives of others. Please click on the "Donate Now" button at the top right of Dr. Marsha's Gofundme page to make your donation, and click and share the gofundme facebook link so as many people as possible get the message.